In a possible move to contain the growing complaints of members who consistently receive unwanted photo tagging notices and news feeds that they are receiving, Facebook is updating its policies on these features. 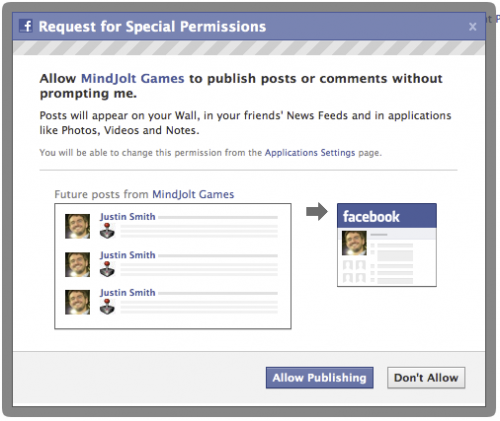 In short, you can no longer tag your friends and other Facebook members on photo collages, avatars and other images which are being used for marketing purposes, just to get their attention and hope that they clicked on your campaign materials. 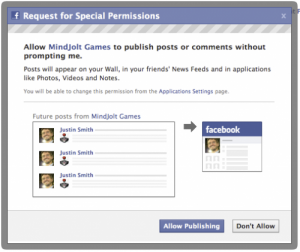 This policy aims to put a stop on reports that some apps are forcing their Facebook members to extend permissions to publish news feeds on their walls. This will give other application developers a good chance at getting more followers and users the legit way – that is because they’ve gained the Facebook members’ trust. And finally, you can no longer publish the same Feed story to more than one friend’s Wall at a time. This is to avoid spamming of Facebook members stream with feed stories that do not interest them. Facebook will enforce punishments and suspensions of account on a case to case basis if anybody is proven guilty of violating these policies. So there, hope these new policies help reduce the noise level in your Facebook content streams. It’s about time… and I really hope Facebook tightens it third-party app development policies like Mozilla with it’s add-ons/extensions and they purge apps that have slipped through before.